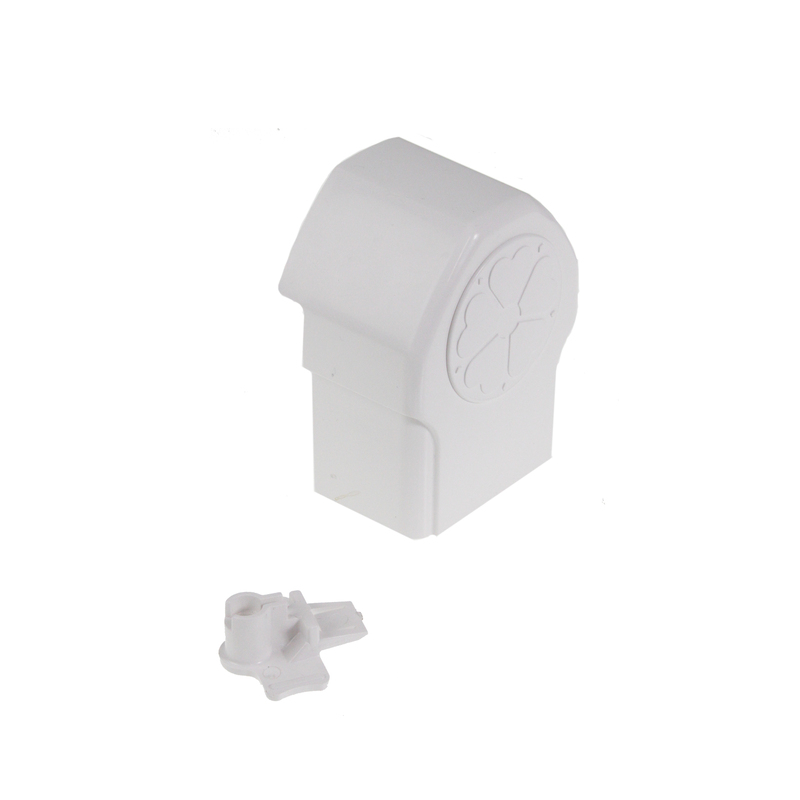 Product information "Ultraframe CCTA001 Glazing Bar End Cap"
Improved coverage and secure fixing! Attractive closure for chambered Ultraframe transoms with distinctive Ultraframe rose motif. New design offering improved coverage over top capping to counter thermal expansion, plus more secure fixing to glazing bar. 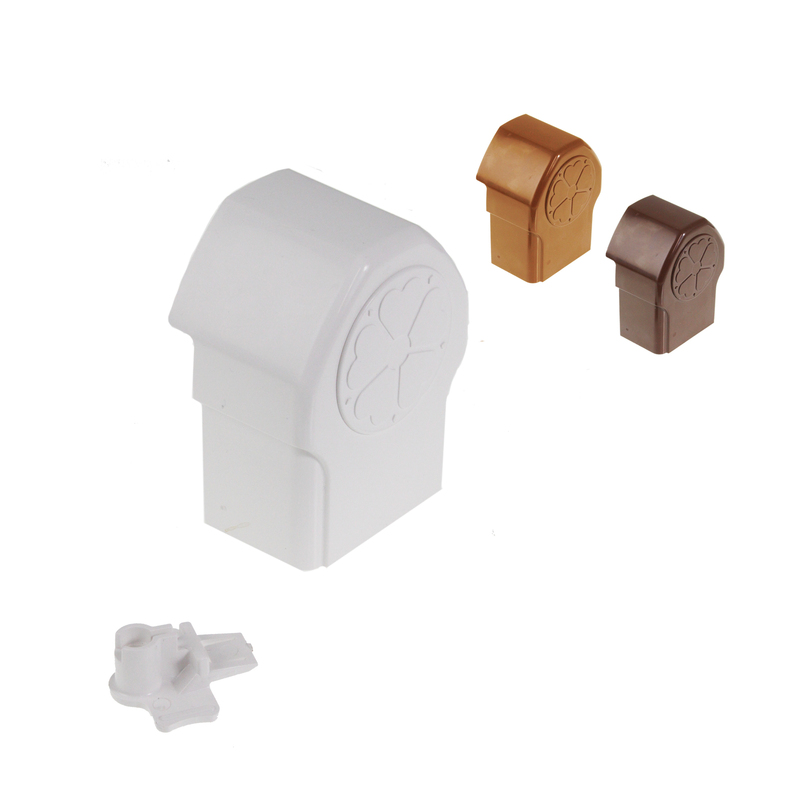 These strong, durable plastic end caps, with their refined, polished finish are available in White, Chocolate Brown (mahogany and rosewood profiles) and Caramel (oak coloured profiles). DID YOU KNOW? 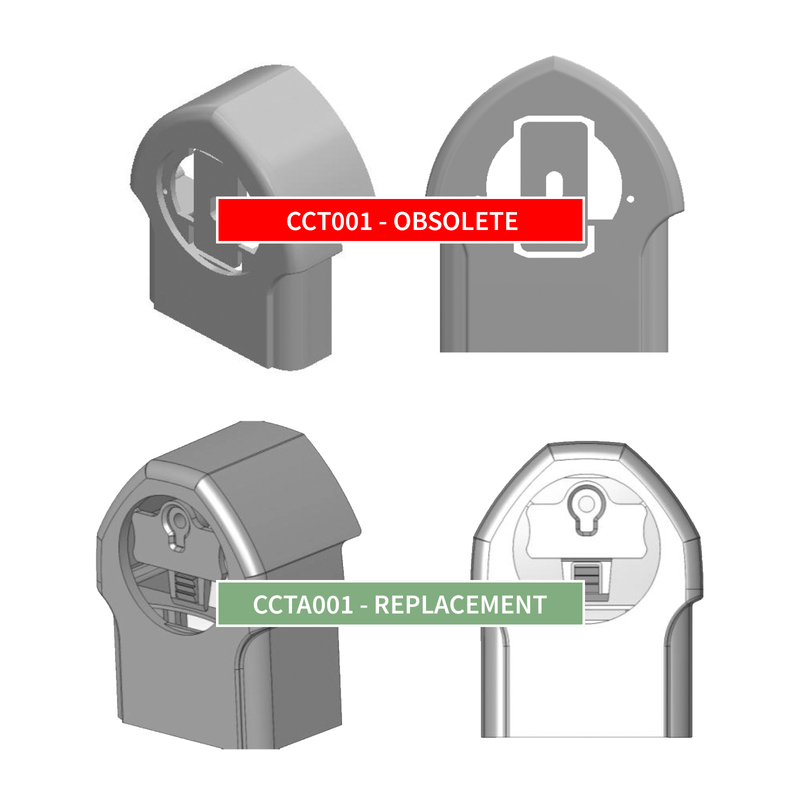 These new end caps are a direct replacement for the obsolete CCT001 and provide two key benefits, improved coverage over capping and more secure fitting! 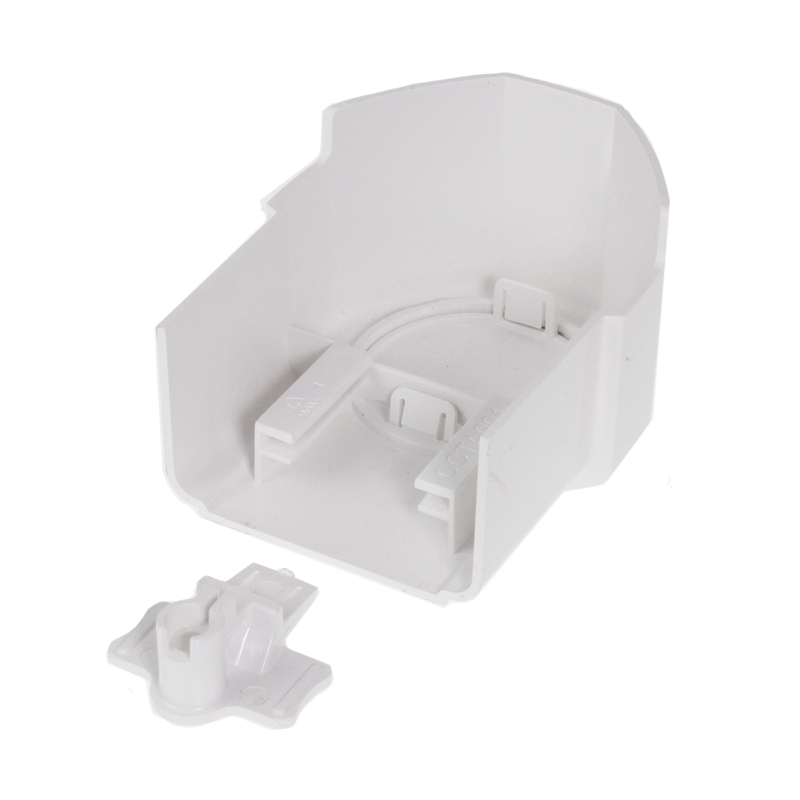 These end caps come with a large decorative rose motif cover cap and securing lug. The lug is screwed on to the end of the glazing bar and provides a platform onto which the tracks on the reverse of the end cap slide down onto. Related links to "Ultraframe CCTA001 Glazing Bar End Cap"
Customer review for "Ultraframe CCTA001 Glazing Bar End Cap"